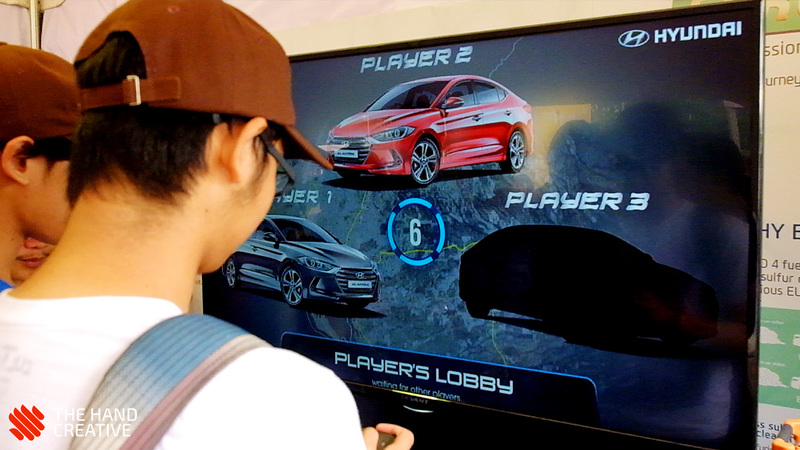 Hyundai together with The Hand Creative created a multi-screen game to inform all attendees of the last Manila International Auto Show, the environmental benefit of the Euro 4 Fuel. 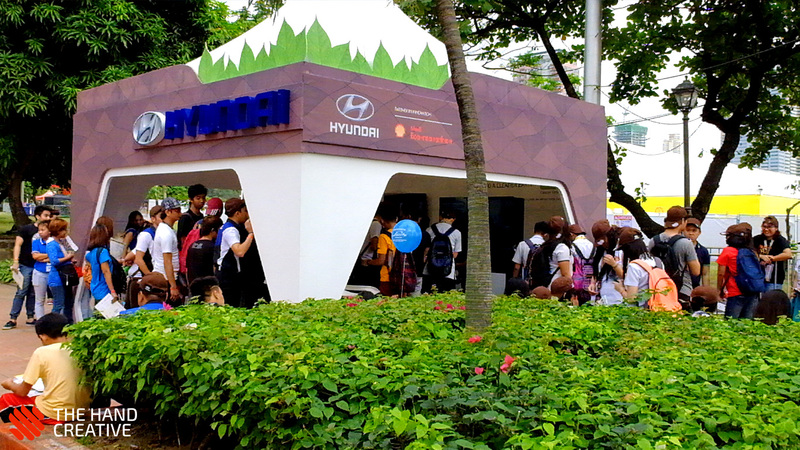 Euro 4 fuel has the same benefits with the Euro 2 fuel, only, it emits clean gas that is more environmental friendly. 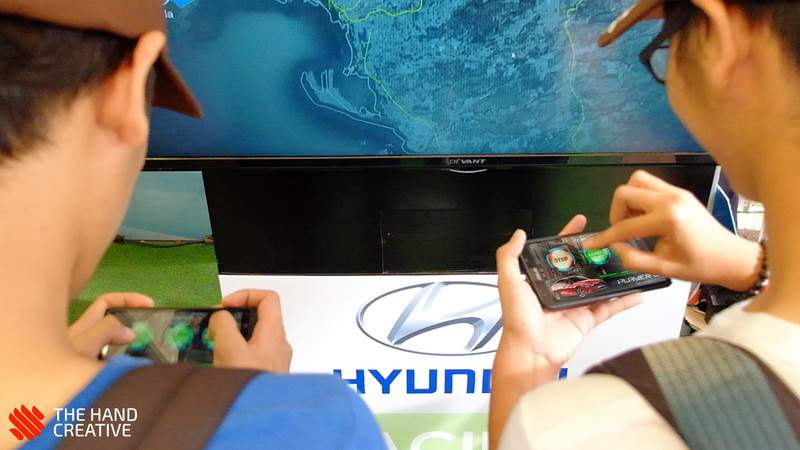 The Racing Game happens on a 55″ TV screen and is controlled through a mobile phone. 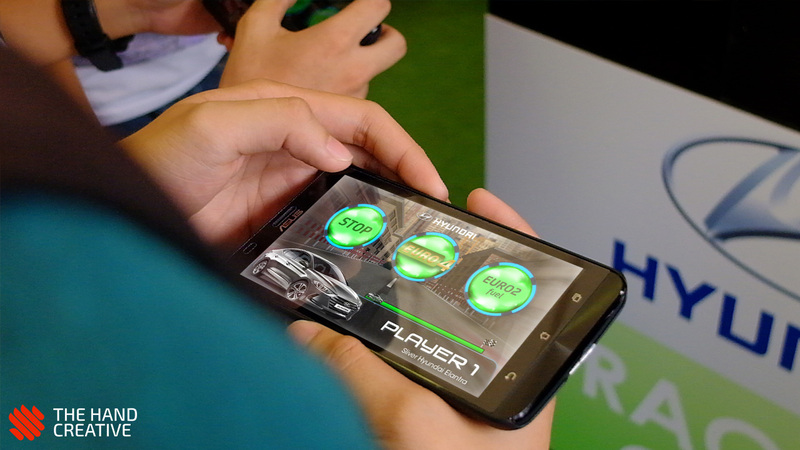 Up to 3 Players can compete against each other during the game. 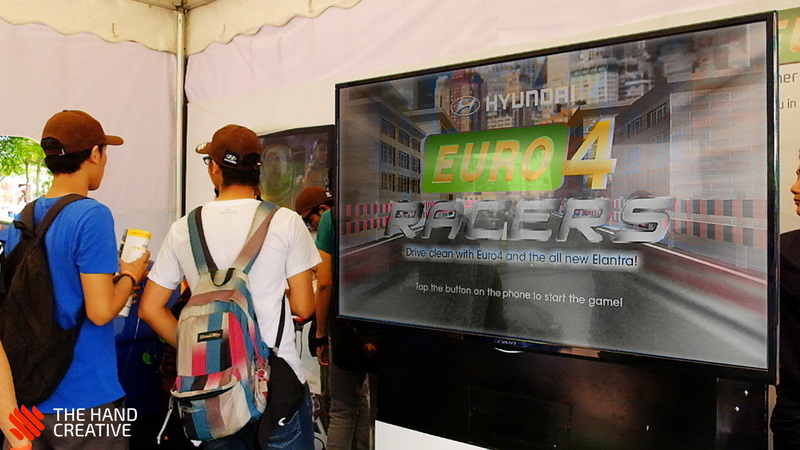 In order to win the game, the participants must throw the “Euro 4” icon towards their car on the game screen to accelerate. 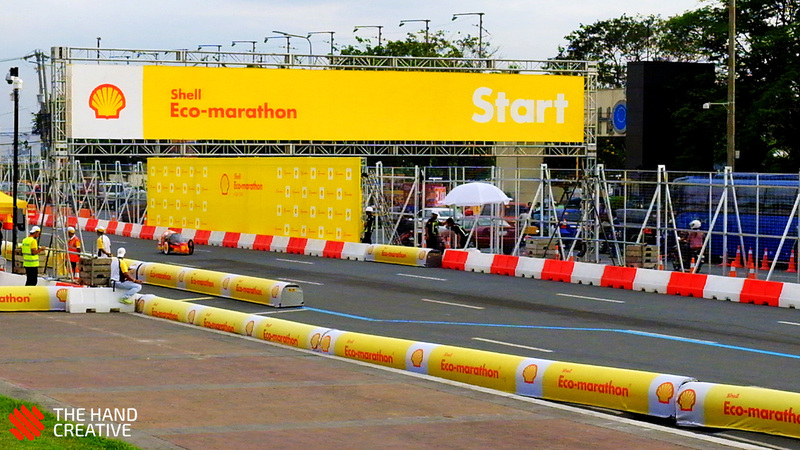 White gas will be seen on the screen, at the back of the participant’s car, once “Euro 4” icon is thrown. This is to relay the message that Euro 4 fuel emits clean gas. 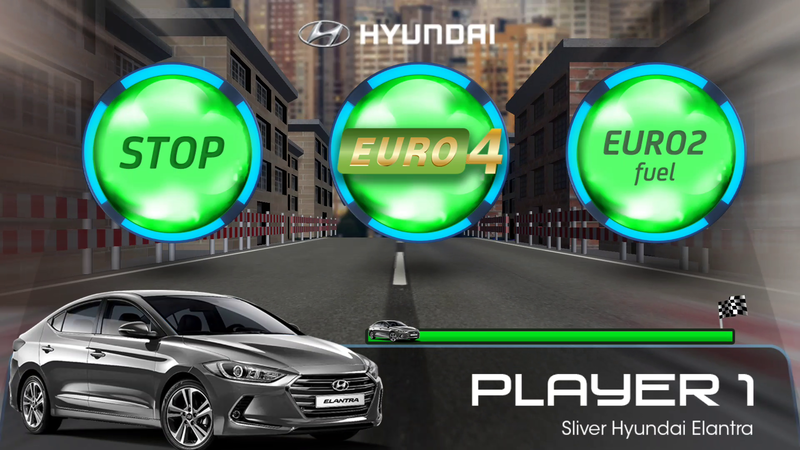 If the participant accidentally throws the “Euro 2″ icon, the car will slow down and will emit black gas. 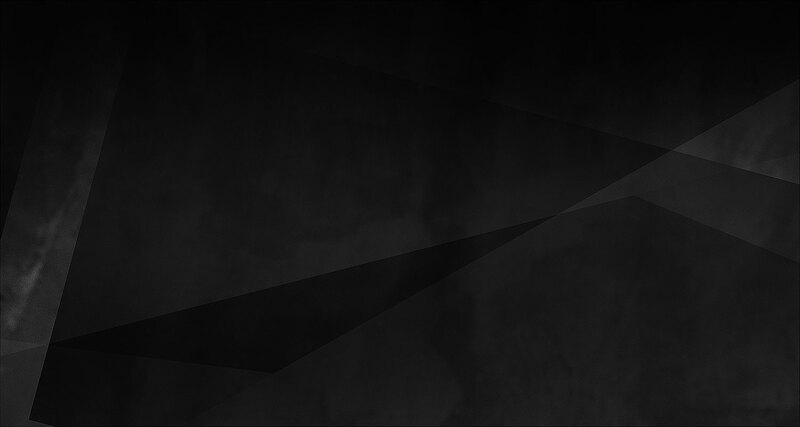 While throwing the “Stop” icon towards makes the player’s car stop, allowing competitors to overtake.